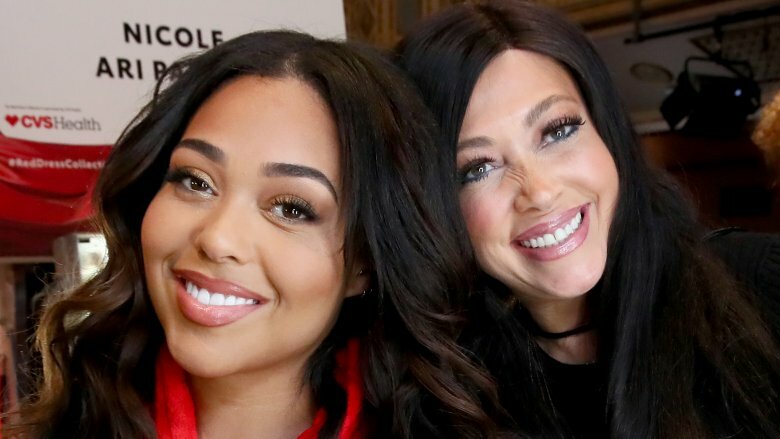 Kylie Jenner's BFF, Jordyn Woods, has been attached to the makeup mogul's hip since about December 2013. Not only is Jenner's Instagram account littered with photos of the model and designer, but the two have traveled the world together. As if their bond couldn't get any closer, Jenner revealed in June 2018 that Woods had become her roommate, which probably made filming their now-defunct reality series, Life of Kylie, a bit easier. And who can forget her connection to Jenner's daughter, Stormi Webster? Woods was extremely present for the first year of Stormi's life and often photographed with Jenner's little girl. Woods' BFF reputation took a major dive, however, when she was reportedly linked to Khloé Kardashian's boyfriend. 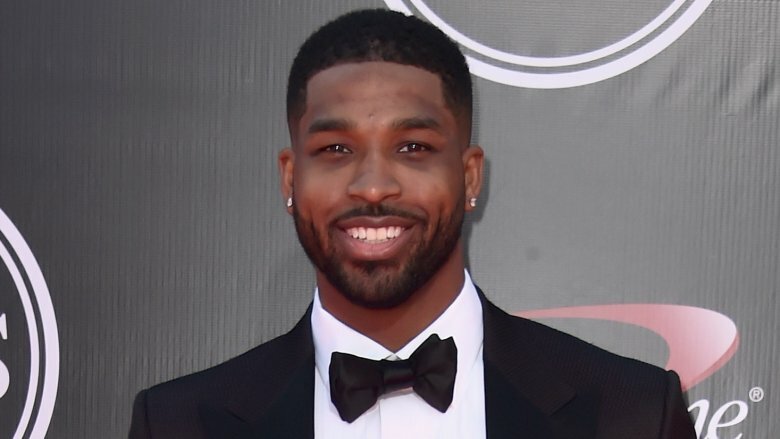 In February 2019, gossip website Hollywood Unlocked accused Kardashian's man — NBA star Tristan Thompson — of cozying up to Woods at a house party. Say what now? We're dying over here. Bible! The supposed dirty deed went down over Valentine's Day weekend, and both Thompson and Woods reportedly confirmed the news to Kardashian in separate confrontations, according to Us Weekly. Needless to say, fans are itching to know more about what allegedly happened. While we've known Woods for years as Jenner's sidekick, there's clearly more to her story. Ready to dive deep into the drama? 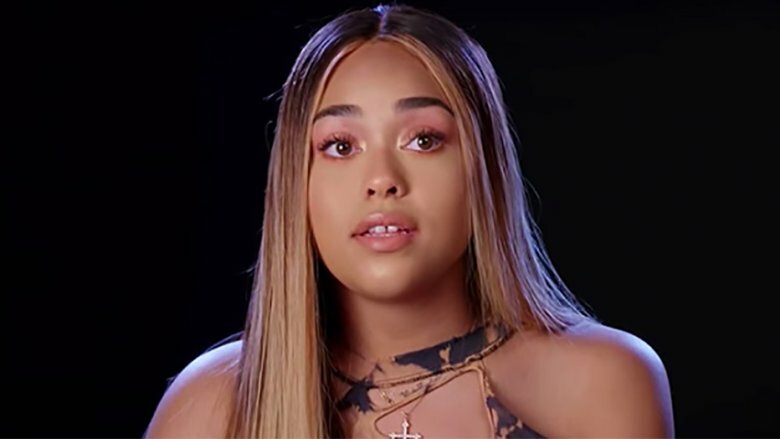 Here's the untold truth of Jordyn Woods. What really happened with Thompson? 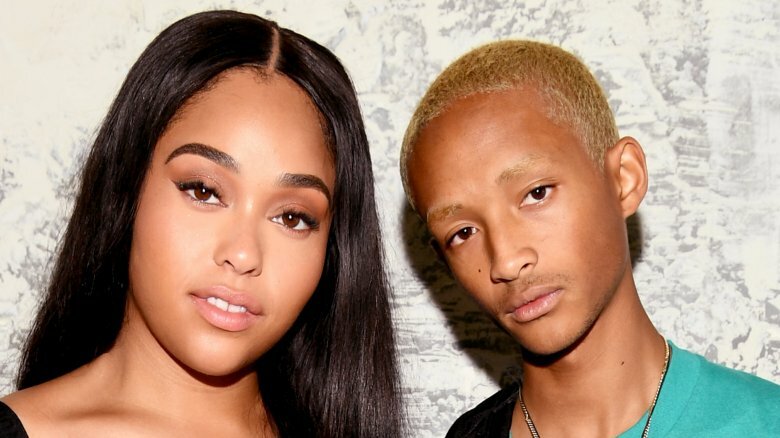 The details surrounding Jordyn Woods' alleged hookup with Tristan Thompson over Valentine's Day weekend 2019 is a bit murky, so let us help you get up to speed. 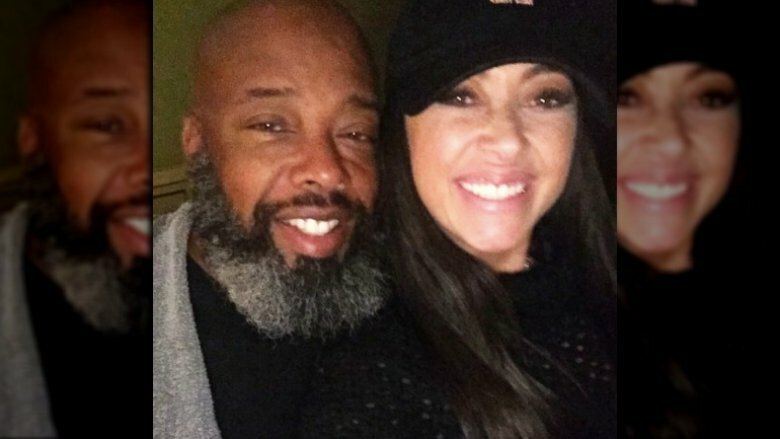 Here's what supposedly went down: On Feb. 17, 2019, Thompson hosted a late-night house party which Woods allegedly attended. Per an eyewitness, "Thompson and Woods were all over each other, and, it wasn't just 'friendly,'" reported Hollywood Unlocked. "They couldn't keep their hands off of each other." Making matters worse? TMZ reported that Woods and Thompson allegedly made out at one point. Prior to Woods' supposed arrival, partygoers were told to put their phones away for security reasons. Later in the evening, when some guests asked to use their cells, they were allegedly told that they "may as well leave if they needed to do so as Jordyn wouldn't' be leaving anytime soon." Hollywood Unlocked claimed Woods didn't leave the party until the early morning. Yikes! Once news of the rumored tryst hit the internet, Thompson tweeted and then deleted: "FAKE NEWS" (via E! News). As for Khloé Kardashian? She reportedly commented on Hollywood Unlocked's Instagram post with shouting emojis, while her BFF, Malika Haqq, wrote: "STRONG FACTS" (via E! News). According to Us Weekly, Kardashian had already caught wind of the drama. "Khloé confronted Tristan and he admitted it was true," a source said. 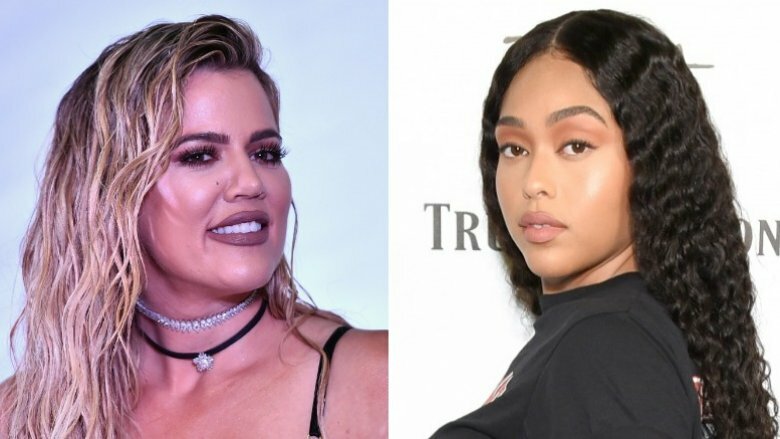 What's especially heartbreaking about Jordyn Woods and Tristan Thompson's alleged hookup is the betrayal against Khloé Kardashian. Woods and Kardashian were close before the incident. The reality star even posted a sweet message on Woods' Instagram account just one day before the bad news broke. "Baby girl," Kardashian reportedly commented on a beautiful snap of Woods (via Cosmopolitan). Although fans are probably already aware of Kardashian and Woods' history as friends, some people might be surprised to learn that Kylie Jenner's pal was also close with Thompson. Case in point: Kardashian and Thompson both attended Woods' 21st birthday party at a bowling alley in September 2018, according to E! News. The outlet described Kardashian and Thompson's behavior as lovey-dovey at that shindig. Woods even commented on the pair's relationship at one point, telling Us Weekly: "I think they just have fun together. I feel like they have great chemistry, so that works out well." If the cheating allegation is true, Woods really did a number on her friendships with Kardashian/Jenner brood. The Woods family's overall net worth isn't clear, but they had enough dough to move to the luxurious Calabasas, Calif. area when Woods was 13, according to Yahoo. Prior to living in Jenner's neighborhood, the Woods clan reportedly lived in Oak Park, Calif., where the "overall cost of living index" is "27 percent higher than the California average and 76 percent higher than the national average," reported real estate website AreaVibes. In other words, it sounds like Jenner wasn't the only one who grew up with a silver spoon in her mouth. 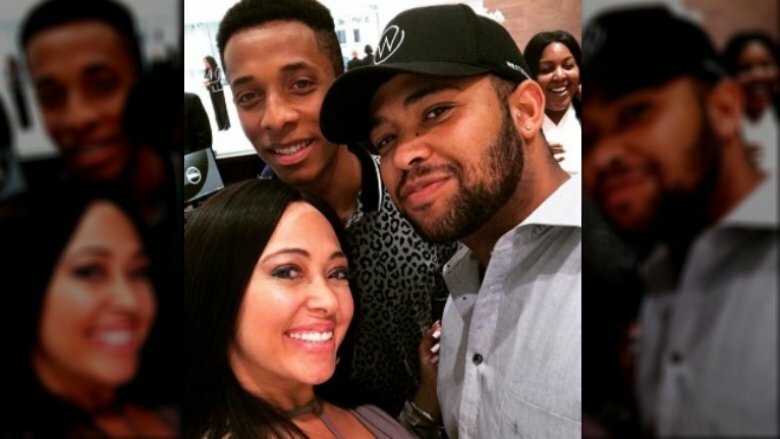 In a sad turn of events, Jordyn Woods' dad, John Woods, passed away in January 2017 after a short battle with cancer. "Last night heaven got another angel," she captioned an Instagram post announcing her father's death (via Teen Vogue). "Just two short weeks ago he was diagnosed with cancer and by that time it was too late. I appreciate everyone's kind words and it means the world to me. It still doesn't feel real." Our hearts go out to Jordyn and her family — we can only imagine what they've gone through. Kylie Jenner also talked about that tragic turn of events during a September 2017 episode of Life of Kylie (via People): "When Jordyn lost her dad, it definitely made me appreciate my dad a little more," she said. "It was a wake-up call that nothing lasts forever and we just have to appreciate the people that we love while they're here." Jenner and her pops, Caitlyn Jenner, have had their fair share of ups and downs throughout the years, but it sounds like John's death helped put everything into perspective. 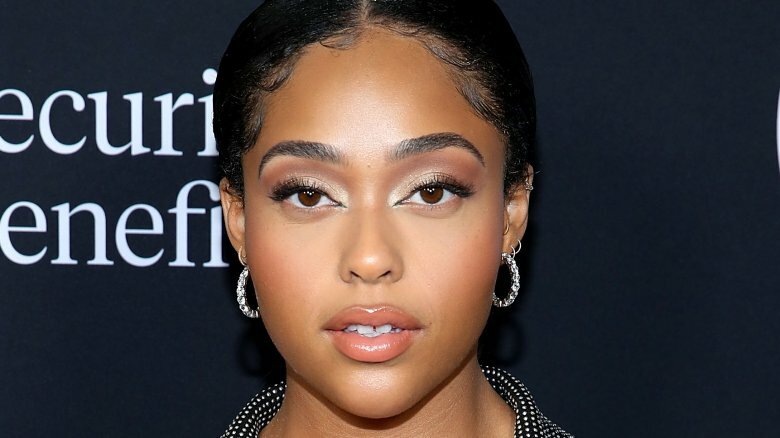 If you take a peek at Jordyn Woods' Instagram account, it's chock full of glamorous outfits and nights out on the town. Given the California native's enviable social presence, it's fair to assume her piggy bank is full, but before you jump to any conclusions, it's important to point out that Woods' family had to set up a GoFundMe page after her father's death to help pay for his medical bills. Pretty relatable, right? This is a common struggle for many Americans. "As we begin to plan for John's services, we are still saddled with a portion of his medical expenses," Jordyn's mom, Elizabeth Woods, penned in the fundraiser's description. "We are grateful for all of the family and friends who came to the hospital, called, text and showed their love and support. He and I both were truly touched by all of you. His primary concern always was making sure that everyone else was OK … Thank you for your contribution of any size — the money raised will go towards the costs and expenses of the memorial services and resolving the balances of John's medical bills." As of Feb. 20, 2019, the fundraiser had raised $18,254 of its $50,000 goal. Kylie Jenner donated $10,000 to the cause, according to Us Weekly. 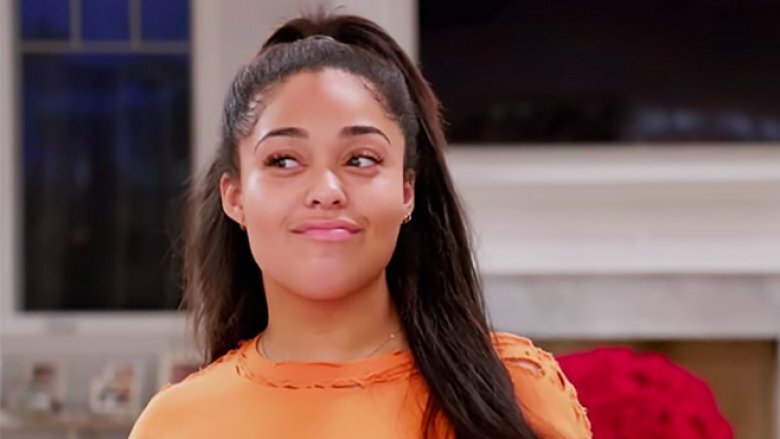 Jordyn Woods was once a self-described "curvy" model who didn't appreciate the term "plus-sized." Having modeled for many campaigns over the years, she told E! News in September 2017: "I feel like when you categorize people and put them into a group, then it creates aloneness and segregation. There are so many models that it shouldn't really matter. I don't think there should be categories." After taking the modeling world by storm with her voluptuous figure, Woods noticeably dropped some pounds in early 2018. Although she received some criticism for her leaner physique, there was much more to the story than a diet or a dress size. As Woods tells it, she dove deep into fitness after losing her dad in January 2017. "I was always fairly active but I never really took the jump to try to create a healthier lifestyle. And then I went through a lot of things, [like] losing my dad. I found this trainer and I ended up starting to workout [frequently], and I realized that was my therapy," she told Teen Vogue. "That was the way that I dealt with the things that were going on." As long as Woods is happy and healthy, that's all that matters. How did Woods and Jenner meet? 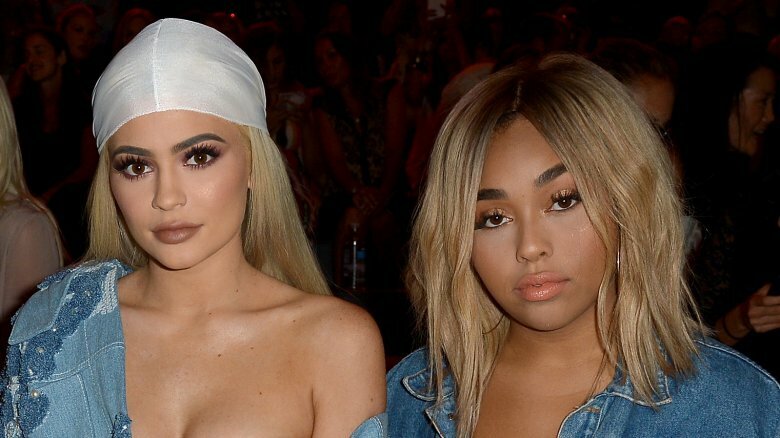 Although it might seem like Jordyn Woods and Kylie Jenner have been friends forever, they were actually introduced to one another by a famous pal. Look no further than Jenner's ex-boyfriend, Jaden Smith. Jenner revealed the cute backstory during a July 2018 Q&A video: "She's known Jaden for like her whole life. I met him in like middle school and like they were best friends. They still are." Woods echoed this sentiment during a September 2016 interview with Women's Wear Daily. "A couple of my friends I've known since I was an infant and others I met as a teenager, but we're more of a family now." Speaking of family, Woods once called Jaden's dad, actor Will Smith, her "uncle." She captioned a throwback photo of the pair on Instagram in September 2014: "Happy birthday to a man who has greatly impacted my life. Love you uncle willy." Yep, it's clear the Woods and the Smiths go way back. Talk about a small world. Early on in Jordyn Woods' friendship with Kylie Jenner, she was hailed as a leader in the body-positivity movement because she embraced her curves and worked to dismantle misconceptions about beauty. "Once you're past a size 8, you're considered plus-size," she told The Cut in July 2016. "Everyone has different body shapes, heights. It's unfortunate because sometimes a curvy girl will say, 'I'm a model,' and people will look at her sideways. Then she'll have to say, 'I'm a plus-size model.' That's just society, you know? Hopefully, if we stop using the term plus-size we can just create a broader definition for what a model is." Tell 'em, girl. Unfortunately, Woods received some flak in March 2018, after she promoted a weight loss drink called Boombod. "Disappointing post. You are famed for being curvy, a role model and an example that you can still be beautiful without promoting unrealistic body types," one person wrote (via Business Insider). Although we can understand how this promotion might be confusing to fans, it's important to note that you can lose weight and still be a body-positive person. Woods touched on this sentiment while talking to The Cut, adding: "I remember one time I posted a picture in the gym and people were commenting on my photo 'If you're body positive, then why are you working out?' It would be the opposite of body positive not to work out, because being body positive is loving your body." Love life? What love life? Unlike Jordyn Woods' famous pal, Kylie Jenner, her love life has never been a major topic of discussion. In fact, the only person we can link Woods to is NBA star Devin Booker, who reportedly joined her for dinner in May 2018. Booker and Woods were reportedly out on a double-date with Kendall Jenner and her rumored beau, basketball star Ben Simmons, according to TMZ. Woods and Booker never confirmed their relationship, however, leading us to wonder if they're just friends. Of course, there are plenty of explanations for why we haven't heard about Woods' love life. The designer possibly prefers to keep her relationships under wraps, or maybe she's too busy to date. Being Jenner's BFF seems like a full-time job, to be honest. However, that also makes all the aforementioned hubbub concerning Khloé Kardashian and Tristan Thompson seem even nuttier. In 2018, Jordyn Woods launched her own activewear line, Secndnture, which showed off her creative and entrepreneurial side, but she isn't the only one in her family with an artistic spark. One of Woods' brothers is a photographer and model, and another brother goes by the name JWoodzART on Instagram and works as a professional tattoo artist. As for Woods' little sister? She appears to be a young fashionista in training and often shares photos of her latest styles on social media. If Woods' siblings decide to take their careers to the next level, they know who to turn to for advice. After picking up a few skills from Kylie Jenner, Jordyn now considers herself to be a full-fledged businesswoman. "I just learned [from Kylie] how to be an entrepreneur," she told The Hollywood Reporter. "I always had that within me. And my parents are all entrepreneurs, but her work ethic is unmatchable, so I definitely have been inspired by her." Did a confession get her kicked to the curb? 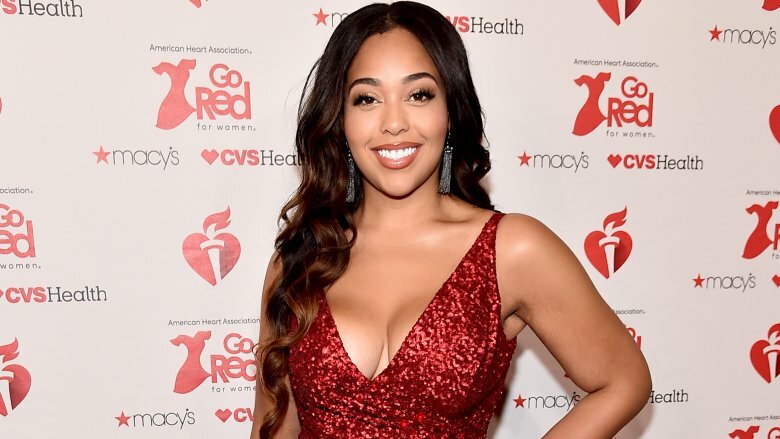 Rumor has it that Jordyn Woods spilled the beans to Khloe Kardashian after news broke about the shady shindig at Tristan Thompson's pad. According to Hollywood Unlocked, insiders claim Woods initially told Kardashian that she stayed at Thompson's "to make sure he didn't cheat with any woman" but then changed her tune, allegedly admitting that they'd been involved for more than a month. Oof. The tabloid also reported that Woods' roommate and bestie, Kylie Jenner, told her to "gather her things and move out until she figures out what to do." However this scandal shakes out, it's certainly not a good look for Woods, who was supposedly "spotted at a restaurant in L.A crying because she did not know what to do about the situation."